More than 20 million people face starvation in South Sudan, Somalia, Kenya, and Ethiopia. Find out how we’re responding, and how you can help. The UN has warned of the greatest humanitarian crisis since it was founded over 50 years ago. An estimated 20 million people in South Sudan, Somalia, Kenya, and Ethiopia are at risk of starvation. 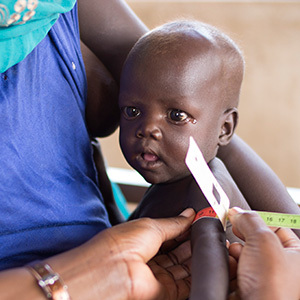 While famine is no longer occurring in South Sudan — thanks to immediate humanitarian response — the situation remains critical, with half the population expected to be severely food insecure this summer. 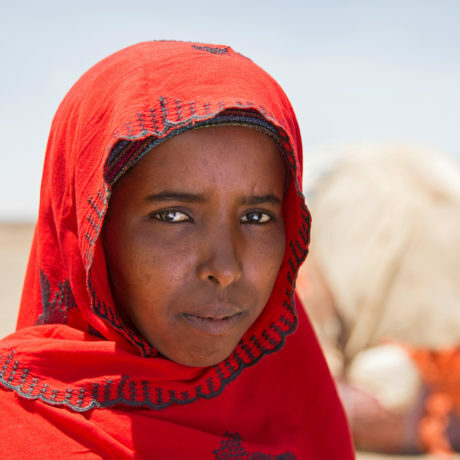 Northern Kenya and southeastern Ethiopia are experiencing serious food shortages. In Somalia, 739,000 people have been displaced by drought since November, and major disease outbreaks, like cholera, are spreading — with more than 50,000 reported cases of cholera and diarrhea. Children like five-year-old Yasmiin*, above, are experiencing severe malnutrition. She is receiving life-saving treatment at a Concern clinic outside of Mogadishu — but hundreds of thousands more children are malnourished and need immediate help. Concern has been working in all four of these countries for many years. In recent months, we’ve been swiftly scaling up our response to rush food, clean water, and emergency nutrition to millions in desperate need. Our experienced team in Somalia has an emergency response underway. We’ve provided over 14,000 families (over 77,000 people) with emergency cash transfers so they can buy the food they desperately need. 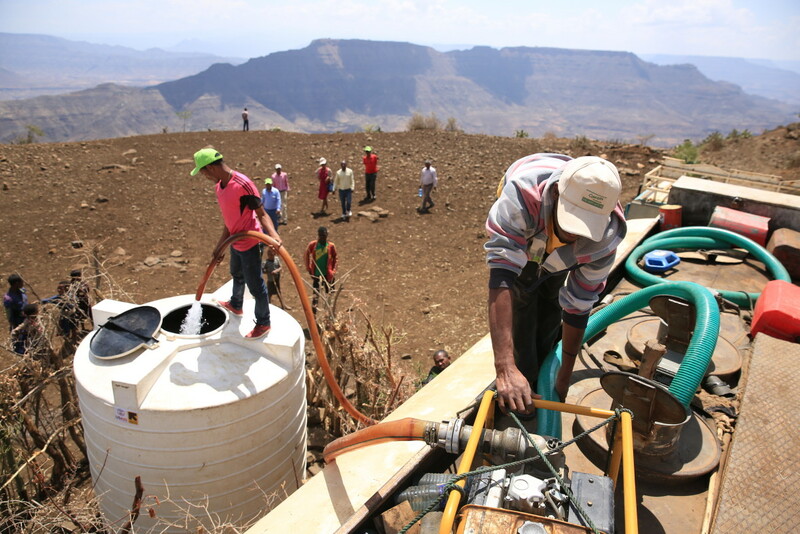 Every day, we’re providing clean water to tens of thousands of people, as well as two hospitals. We’ve also expanded our emergency nutrition response, reaching almost 3,000 malnourished children and breastfeeding mothers. What does drought really look like? Time is running out for goat and sheep farmers in Somaliland who can only watch as their animals perish. Concern is reaching over 400,000 people in South Sudan. We’re operating quarterly food distributions to over 300,000 people, providing clean water and latrines to over 63,000 people, and treating thousands of women and children for malnutrition in 52 clinics across the country, including in areas affected by the famine. Concern's 300 staff members are working tirelessly to reach people in greatest need. We’re working in three regions (Amhara, Tigray, and Afar), supporting the national health system to treat malnourished children. We are also trucking water to people in areas where water sources like wells and springs have dried up completely. The situation in Marsabit, where Concern works, is serious. We have launched an emergency response focusing on cash transfers, access to clean water, and health and nutrition services.